HETS Second West Coast Best Practices Showcase. Dr. Carlos Morales, President, Tarrant County College, TCC Connect. The West Coast HETS Best Practices Showcase was held on December 9, 2016 at California State University in San Bernardino (CSUSB) with more than 12 participants from five different member institutions, including our new member California State University, Sacramento. The event started with the welcome remarks and review of purpose by the host of the event: Dr. Brian Haynes, Vice President for Student Affairs at CSUSB, and Ms. Yubelkys Montalvo, HETS Executive Director. After this introduction, Ms. Montalvo proceed to presented the main speaker of the event invited, Dr. Carlos Morales, President, TCC Connect Campus at Tarrant County College District. 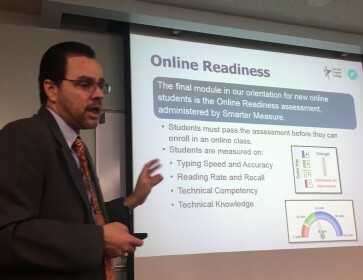 Dr. Morales is a HETS Board Regional Representative and was enthusiastic to share his experience about Retention, Completion and Graduation Strategies in a Non-Traditional Campus like TCC Connect Campus, which serve more than 20,000 students. A copy of his presentation is available here. A second best practices was presented by Dr. Brian Haynes, Vice President for Student Affairs, CSU San Bernardino and Ms. Sarai Maldonado, Senior Career Counselor, CSU San Bernardino about how to maximize HETS student support services in their institutions through partnership and collaboration between different offices and departments. Copy of their presentation is available here. A third best practice was shared by Dr. Lorena Checa, Vice President for Student Affairs, CSU San Marcos and Mr. Nick Mortaloni, Care Manager, CSU San Marcos. Both showcased an exceptional program called Cougar Care Network, that integrated technology to support student needs through early alerts, and how their faculty and administrative offices get involved and fully adopted the program. Copy of their presentation is available here. Finally, Ms. Yubelkys Montalvo closed the event with a presentation about HETS Services using images to explain the services, and engaging participants marking the images in a Bingo cards provided. 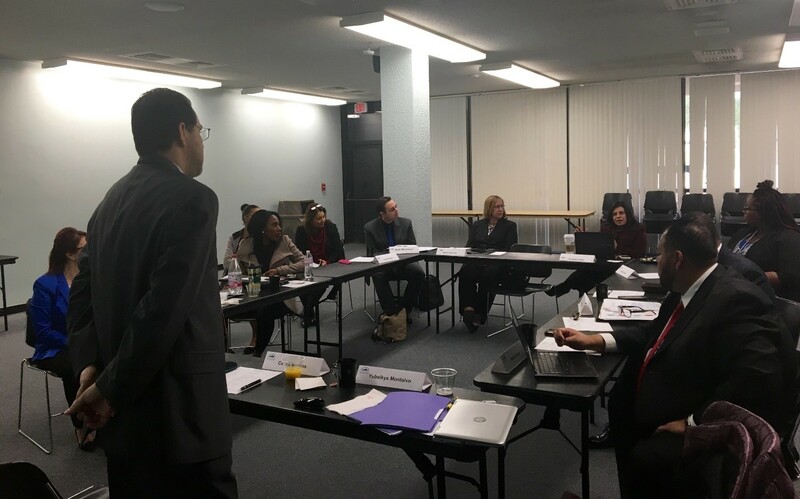 Ms. Montalvo focused her presentation on the variety of student support services provided completely free of charge, and how member institutions could promote it for the benefit of their students. Copy of her presentation is available here.